Robert L. Holzberg, Connecticut Superior Court Judge (Ret. ), leads the Alternative Dispute Resolution (ADR) practice at Pullman & Comley, which is comprised of four retired judges and six AAA certified attorney arbitrators. He possesses extensive experience serving as a mediator and arbitrator in complex civil matters in state and federal court including personal injury, employment, construction, environmental, probate, insurance, intellectual property and commercial disputes. He retired from the bench in September 2012 after more than 22 years of service as a Superior Court judge. Retired Judge Holzberg was appointed to the Superior Court in 1990 by Governor William O'Neill. While on the bench he served as the presiding judge for civil matters in the Middlesex, New Britain and Waterbury judicial districts. During his career, he earned a reputation for his skill in crafting settlements in some of Connecticut's highest profile and most complex cases and became one of the state's most sought-after mediators. He has received several awards, including the 2011 Connecticut Bar Association's Henry J. Naruk Award, given to a member of the judiciary who epitomizes long-term, dedicated and conscientious service to the community, possesses the highest integrity, and has made substantial contributions to the administration of justice in Connecticut. In 2005 he received the Hon. Robert F. Zampano Award for Excellence in Mediation and in 1998 received the Connecticut Trial Lawyers Association Judicial Award. Before his appointment to the bench, he was on the faculty of the University of Connecticut School of Law and also served as an Assistant Public Defender in the Office of the Chief Public Defender. Retired Judge Holzberg is a frequent speaker and author on the topic of mediation and arbitration. 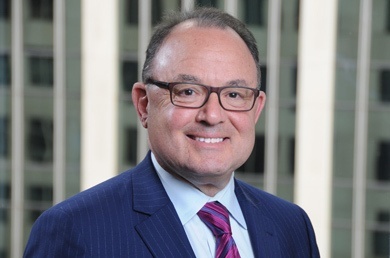 He has been an invited speaker on ADR strategies for the Practicing Law Institute, the Connecticut Trial Lawyers Association, the Connecticut Defense Lawyers Association and the Hartford County Bar Association. Selected by The Best Lawyers in America as the 2018 Hartford "Mediation Lawyer of the Year"